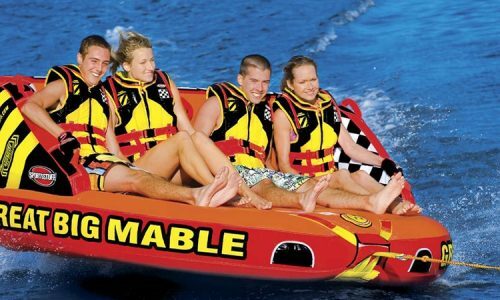 Enjoy hassle-free Marmaris Water Sports & Activities in great comfort and with full confidence. Marmaris Flyboard is a real thrilling water sport activity, try this exciting water sport under complete safety. 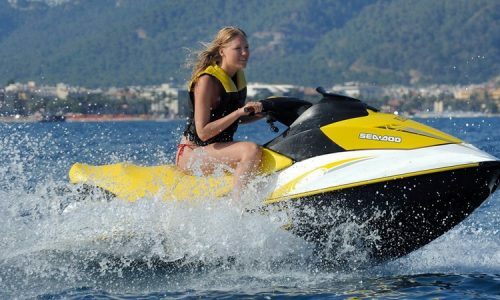 Marmaris, with its renowned clear blue waters, nice and long beach fronts and an ideal weather and wind-conditions is one of the best places to get engaged in water sports of many sorts. 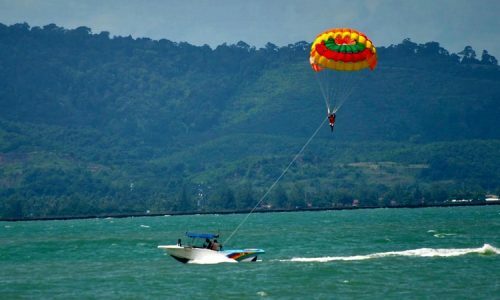 Water sports are one of the main attractions during a hot summer holiday. During summer the prevailing thermal winds from the Aegean Sea keep the waters calm and flat, thus providing an ideal condition for water sports of all sorts. Water sports are exciting and adventurous at the same time. They can be learnt easily with some professional help on your side. Our professional instructors are always there by your side to assist you all the time. They also take care of your safety and ensure that you enjoy water sports at your best. We provide the standard safety equipments for all the participants on our activities. Your safety is our first priority. Our professional instructors help you understand the use of each of these safety equipments. Moreover, they stay by your side and offer professional help as and when needed. 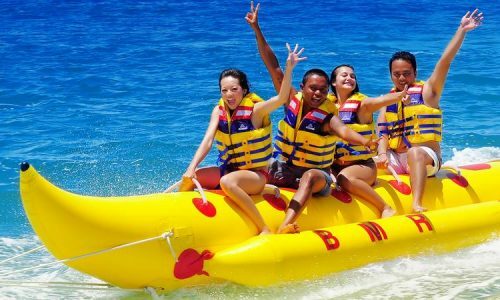 One of the greatest advantages with booking our water sport activities in advance is the instant ticketing services we provide you. Once you book for our activities online, we arrange for a hassle-free holiday experince upon your arrival. The tickets are already in your hands; you can come along and enjoy your favorite activity in a go! 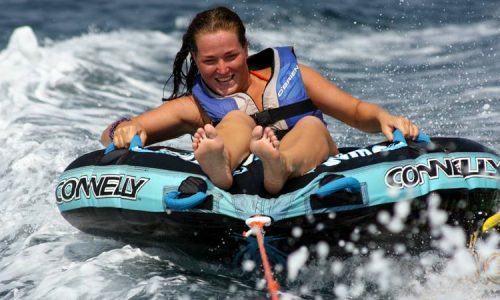 Our Marmaris Water Sports Center offers water sports opportunities for every interested person. 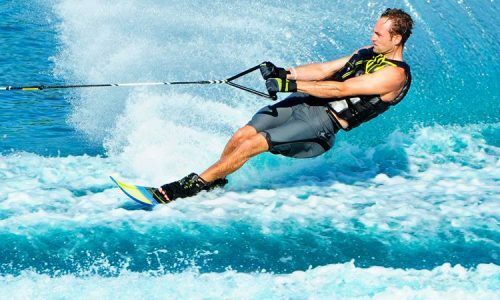 The center offers practice sessions for beginners and various courses in windsurfing, water skiing, wake boarding, cat sailing and help obtain training certificates. Our qualified instructors are well-versed with communicating in many languages and offer right tips to improve your skills. We operate on ‘arrive and pay’ basis. We do not ask for any advance payments while you book for our activities online. No credit card, bank commissions or down payments are involved here. Just fill the form online with all the necessary details; we’ll arrange everything as per your requirements including the transfers. You can pay for the services on offer by cash upon your arrival. Our activity prices come with a comfortable and free hotel transfer service. With our well-maintained fleet of excellent vehicles, your visit to Marmaris will always be a memorable one. Our well-trained drivers are punctual and offer polite and prompt services all the time. For all the services on offer, we charge the best available price and you can check with us that we have no hidden charges whatsoever. Everything is open and our website is all-informative, there is no space for any hassles down the lane. We ensure you a pleasing holiday experience at no extra charge other than already disclosed at the time of booking our activities.